Sunset and Evening Star And One Clear Call For Me! Automotive News reported a bit of an improvement at AvtoVAZ’s sales. The firm makes Lada cars. How about we find out what they sell right now, this minute. You won’t read this at Car&Track. “AvtoVAZ said it made a net profit of 609 million rubles ($9.70 million) in the first three months, reversing losses of 2.81 billion rubles for the same period last year,” reported ANE. Which is not all that interesting. More absorbing is the question of what you find if you have a gander a web-site which shows the cars Lada sells. There seem to be seven models in their line-up: the Granta, the Kalina, the Priora, the Vesta, the X-Ray, the Largus and the 4×4. Annoyingly, the website’s front-page images are pixellated unless you update your web-browser, which I refuse to do to accommodate Lada. Starting with the Granta: it comes in three flavours. One can have a saloon, a hatchback or a sports model. The base price is €4200. The car has been on sale since 2011 and there are three engine choices, versions of a 1.6 litre engine putting out 80, 90 and 98 hp normally. Lada offers the Sport which has a 16v engine in two states of tune: 106 and 118 bhp. It’s feather light: the heaviest one weighs just over a tonne, unladen. The car replaced the venerable Samara and is co-produced with Renault. I imagined it is some form of a Clio-derivative but it isn’t. Its underpinnings date back to 1994. Moving up in the range we come to the Kalina. You can have four versions. There is a hatch, an estate (little different in profile), the Cross (raised ride height) and the Sport. The base price is about €4800. The engines are the same as for the Granta though they are all the 16v version though I note the car weighs about a hundred kilos more. The Sport has the same engines and can attain 195 kmph. That is interesting. I wonder what that might be like to experience. At Lada’s website you can see the 2018 model with a different grille. Call me odd, but the car is not bad in a retro way from the b-pillar back (seen from the front). The headlamps are wildly at odds with the rest. They need to be low, wide and slim not like a Ford Scorpio. The price is now near €5000 for which you get a 1.6 litre engine in two states of tune: 87 and 106 hp. The Priora weighs 1163 kg. The Priora is a restyled Lada 110 which car first came into the world in 1995. In 2007 the Priora replaced the 110 and so replaced the Porsche-tuned body which had some claims to aerodynamic efficiency. Wikipedia is out of date on this one. It reports that there is a 1.8 litre engine and some other body-styles. Lada’s website only shows the saloon, in a very nice metallic blue (not the white I have had to choose). The fuel tank is a very small 43 litres which says to me they had a packaging problem at some point. €6750 is what one pays to enter the world of the Lada Vesta saloon. You can also get an off-roady version called the Cross. Having been launched in 2015, the Vesta is one of Lada’s newest cars. It uses the Renault Megane steering rack. There is also an estate version which is like the Cross but without the plastic trim. 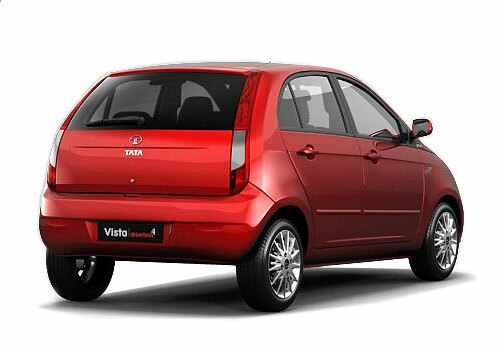 At the Vesta level, the 1.8 litre engine comes into play, offering the driver 122 hp. The 1.6 engine is also available, producing 106 hp. Customers may have the choice of automatic or manual transmission. While the car weighs between 1230 and 1380 kg there is a 55 litre fuel tank to keep the engine supplied. I think the x-shaped body sculpting is only a styling trope and not something that will be there when the car is replaced. The designer seems to think he has invented something akin to the Hofmeister kink. Here is some more: “According to Steve Mattin, Lada Design Director, this car will become a unique offer on the market and is intended to set the tone in its segment by breaking the stereotypes and attracting new customers. The Vesta SW Cross is the car that goes beyond the traditional segments. The owner of such car is a person that does not want to sacrifice the bright design to the practicality, a person that strives to find the perfect cars for all occasions, Mr. Mattin emphasized”. 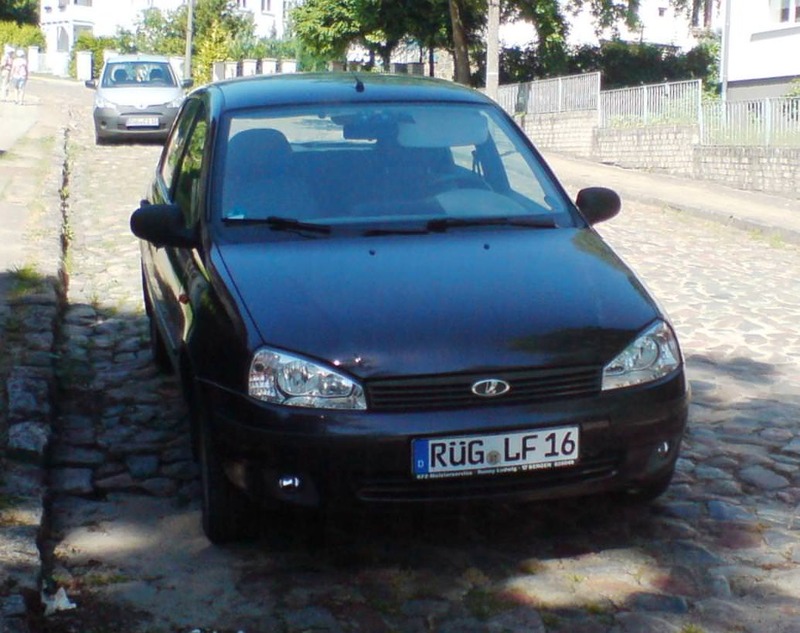 In short, we find that Lada is very much a brand for its customers and driving environment. The narrow range of engines makes quite a lot of sense if customer wants to either work in it her or himself or wants a fighting chance the mechanic is familiar with the device. This extreme example of limited engine choice makes one realise what the problem is with a brand offering seven engines (as is common enough in the C-class). It must be all but guaranteed that the more engines you offer the less opportunity there is for a mechanic to gain experience on any one of them. This only worsens with the passage of time. Further, engines are not left alone for long: upgrades and revisions are common so that perhaps a specific engine variant may only be on sale for two or three years before a few components are altered. This is one reason why having a 14 year old car can be problematic. We will return to the Lada range reasonably soon. The doors on this remind me of early Sierra / Probe III concept. Thank you for this quick review of the range and for having braved the traps set in their website. It has taken longer than I tought it would for the alliance to turn Lada around. I suppose the volatile Russian market didn’t help matters. It’s probably a tough country to do business in too: I read a piece a few years ago that talked about the challenges Renault-Nissan faced when they took over Lada’s factories. Apparently health and safety was non-existent and they found stray DOGS living in the giant Togliatti factory and reared by the factory workers themselves. Still the last 2 models are a huge improvement. I’am not keen on the “brackets” on the side but I’am glad Lada is able to keep its own style for now rather than being rebadged Dacias or Datsuns. I imagine none will meet EU regs — nor would anyone in the EU know how to service them. Pity — at those prices they’re a steal. It’s much that much of a pity, to be honest. What a dreary lot. Did Steve Mattin really think this is where his career would end up, or is he too smashed on vodka to care? To be fair, Russians can be very generous and warm hosts. @Vic I think the Niva is still sold in Germany and I believe the latest X-Ray and Vesta could be sold, as is, anywhere in Europe. I do find the Avotvaz story very interesting. It’s fascinating for me to look at those old prototypes of theirs that never made it to production or the alternative design proposals for some of their older cars. In one DTW article Richard reviewed a Lada concept and was talking about how its awkward design could be traced back to the lack of social interactions of Lada designers with other designers (something along those lines, sorry if it’s badly paraphrased) and their inability to see “right from wrong” designwise: Secluded by years of communist and international restrictions it’s very interesting for me to see what was considered good-looking or futuristic back then in this, now lost, corner of the world. The Lada 4×4 aka Niva is still on sale for 10,000 to 12,000 Euros in Germany. For 2018 you can even buy the five door version for the first time for 14,000 Euros. You get a car designed and built to the standards of the late Sixties to early Seventies. You can (and have to) do most work yourself but you throw it away after about six years because it is worn or rotten. Alas poor Mattin, a car designer the term ‘one way ticket to Palookaville’ could arguably have been coined for. The Kalina looks like the 5th generation Fiesta to me. If I was a car designer, I’d have a clause included in my contract stating that I’m exempt from marketing duties unless I choose to participate myself. Most designer’s quotes these days are just plain silly. I’ve always had a soft spot for the 4×4 (formerly known as the Niva). Its been going for over 40 years and still looks good / makes sense. They haven’t fiddled much with the design over its life and that’s been to its benefit. The Kalashnikov of the auto world. I still remember the hoopla emanating from Togliatti upon Mattin’s hiring. They (and he) made it quite clear that Lada/Avtovaz was about to do a Kia (Schreyer) and redefine a fringe brand through design. I guess that hasn’t quote worked out as intended. This is all most interesting, and I’m looking forward to the continuation. 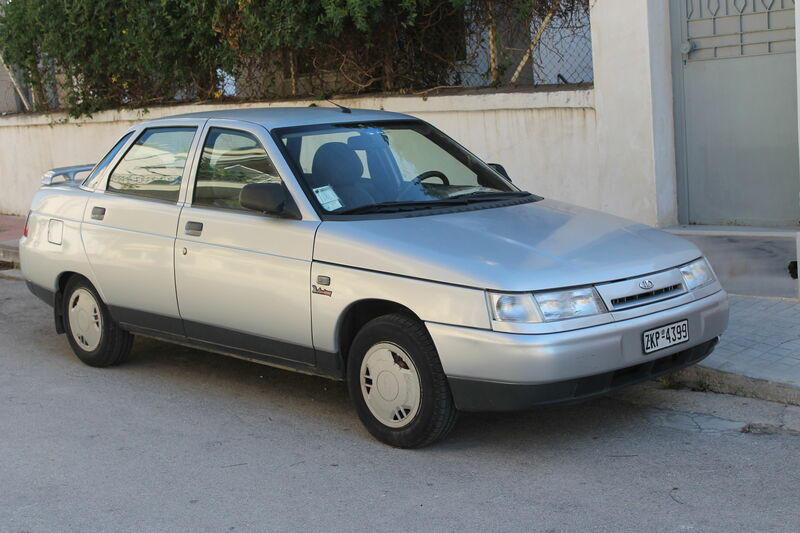 I’m surprised that Carlos Ghosn countenances such a rag-bag of legacy platforms and components – after all his under-regarded predecessor Louis Schweitzer instigated the Dacia Logan project with the notion of using modern Groupe Renault components and know-how to make a rationalised basic four door saloon car which could be sold profitably at the c.6000 Euro price of the original Fiat 124-based Lada. The only Dacia sold with the Lada badge is the Largus, a first-generation Logan MCV, a splendidly useful vehicle. It’s like a mash-up of the 2000 Corsa C and 2002 Fiesta Mk.V, and a pretty competent one at that. 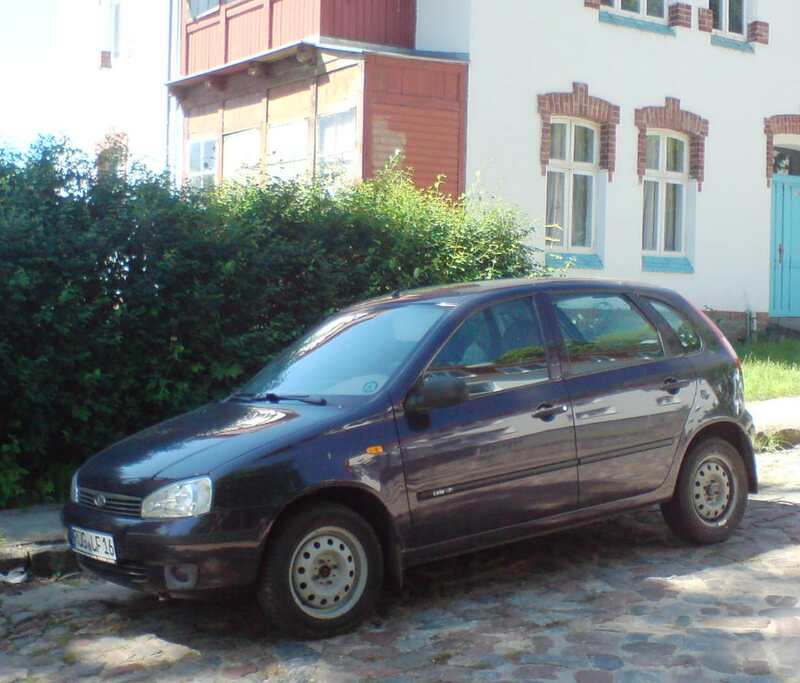 The Kalina went on sale in 2004 and was designed to spearhead a push into the EU markets. I suspect quite a bit of western outside help went into that design, but I can’t find anything to prove my notion. That Kalina looks fine to me. I believe the 5-door version of the Niva (4×4) is actually soldered together from two halves, there’s a cosmetic ridge trying to obscure it that makes it even more visible. 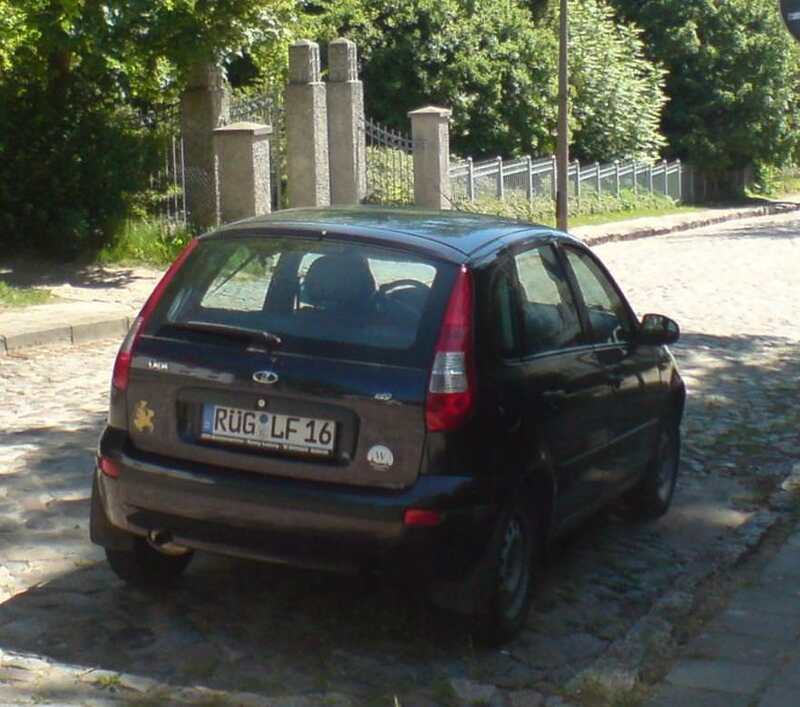 We sometimes still get these in Poland, they’re truly a sight to behold. 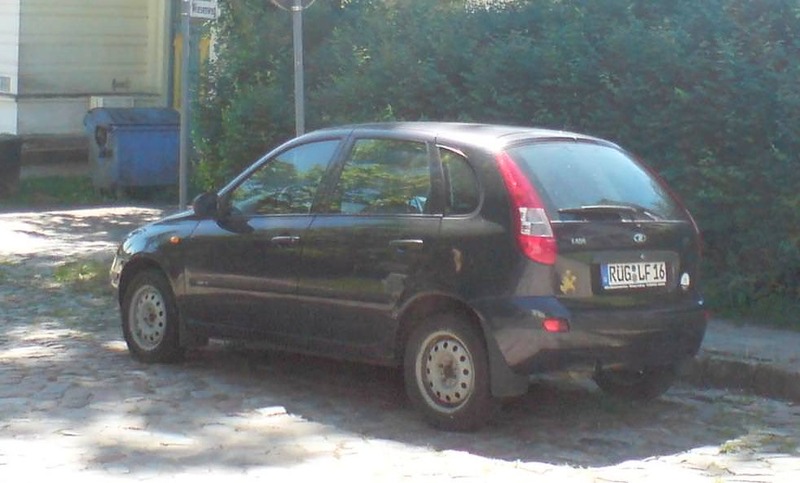 Also – the previous Kalina looks a lot like the Tata Indica to me. Agree about the Kalina. It could be the bridge between the original Fiat Palio clone Indica and the 2008 Indica Vista. Previous Previous post: Quo Vadis, Luxus?